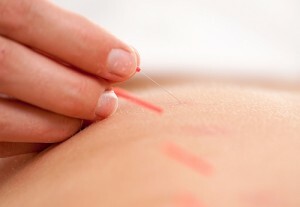 Acupuncture is a component of traditional Chinese medicine in which fine sterile needles are inserted in specific places along pathways called meridians. The result is regulation of the body’s qi (chi), stimulating or sedating as needed. There are many interesting explanations as to just why and how acupuncture works, and modern biomedical studies suggest that it increases circulation of blood and lymph, releases neurotransmitters, blocks pain messages and releases myofascial adhesions to promote homeostasis. It helps prevent illness by awakening the body’s natural immune defenses. Acupuncture is a safe and effective procedure, with few side effects and little to no discomfort, when administered by a qualified practitioner. Many people get off the table extremely relaxed. An external heat therapy using the herb Ai Ye (mugwort), which is used to heat and tonify the body. Sometimes the patient is given a compressed stick of moxa to continue the therapy at home between sessions. Gua Sha involves stimulation of the skin and myofascia by scraping it with a broad, flat instrument, increasing qi and blood flow to the area. This can be a potent treatment to break up old fibrous tissue, as well as for relieving pain caused by restriction or stagnation in the underlying layers. Electrostimulation is applied via the acupuncture needles and a very low current is passed, stimulating the body’s healing process. Oxygen is removed out of glass or bamboo cups by heat, they are then quickly applied to the body, such as the muscles of the back, to draw out pathogens and increase qi and blood flow to an area. Manual suction cups are also used with success.